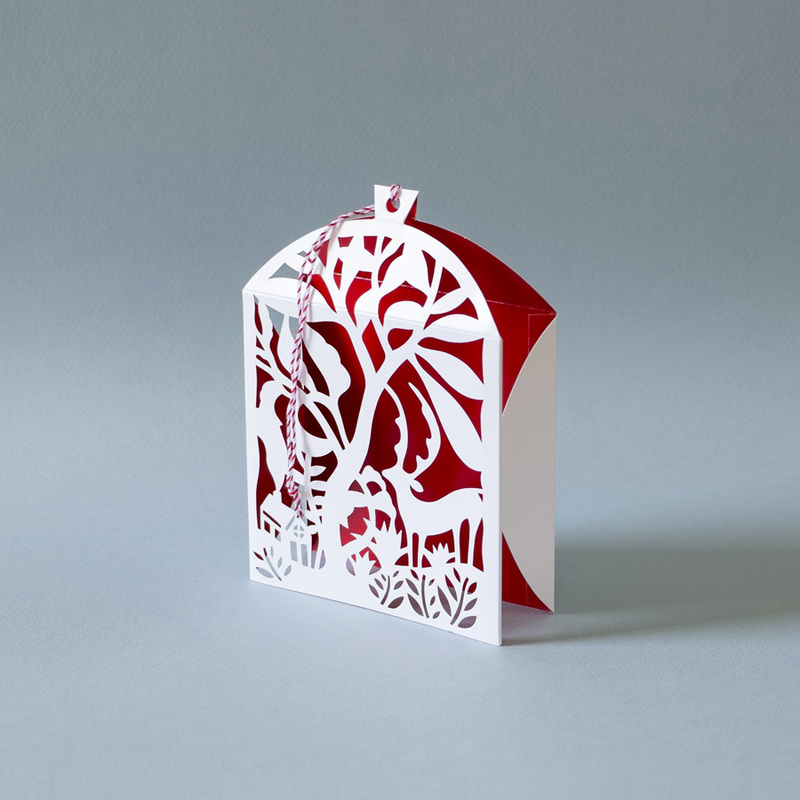 Today I am excited to share this Christmas card that I specially designed for the Museum of Modern Art. When Karen Hernandez from the museum got in touch with me about this project, I felt extremely honored. I have been in love with the MoMA ever since my first visit over there in 1996. My friend Debra Evenson took me there when I came to the USA for the first time . She knew that seeing the MoMA in person was one of my biggest dreams. Imagine when I saw myself in front of the building! It felt surreal and wonderful. We spent hours exploring the collections and seeing lots of art that I had only seen in pictures before the visit. Then we ate something at the cafeteria. I remember me thinking: Imagine if I could work in this cafeteria one day. There were lots of super nice young people working over there. I was 20 something then. The job at the cafeteria never happened, but I am now connected to the museum in this modest way, which makes me so happy. I hope that these cards put a smile on the faces of the people who buy or receive them. I designed it with lots of love. 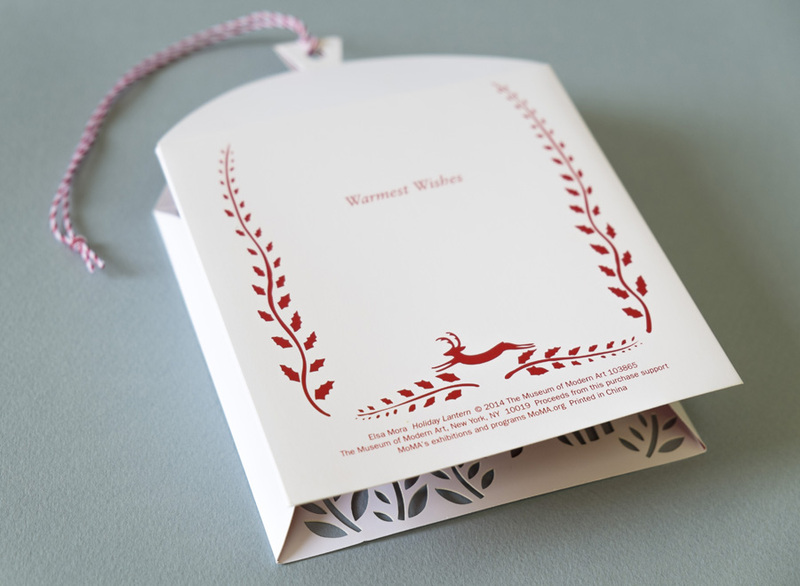 My intention was to create something that you didn’t want to discard once the holiday season was over. Armed with a pair of scissors and some paper I started exploring different concepts. 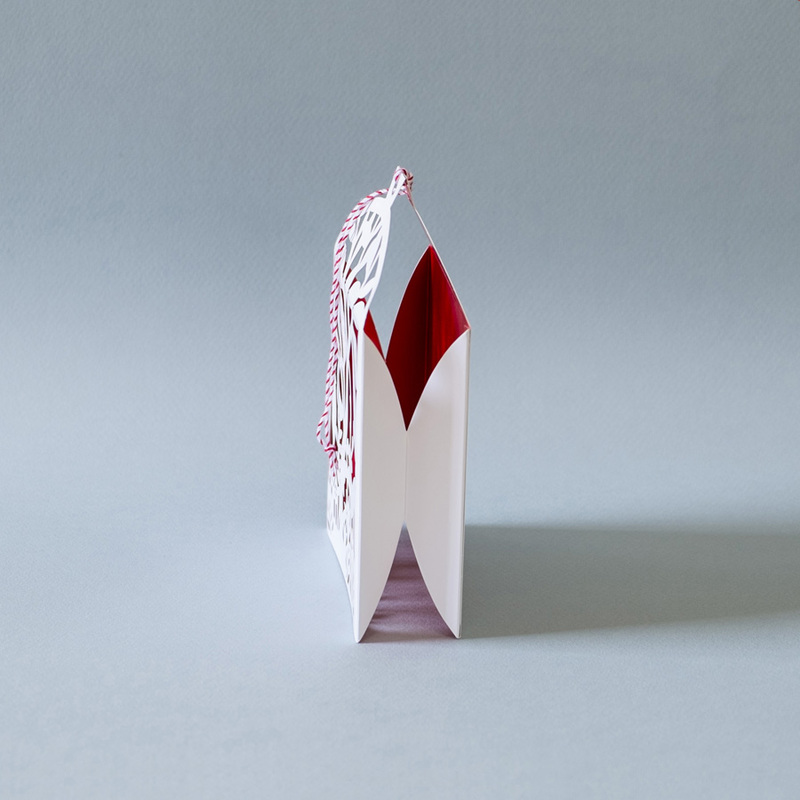 That is how this paper lantern was born. 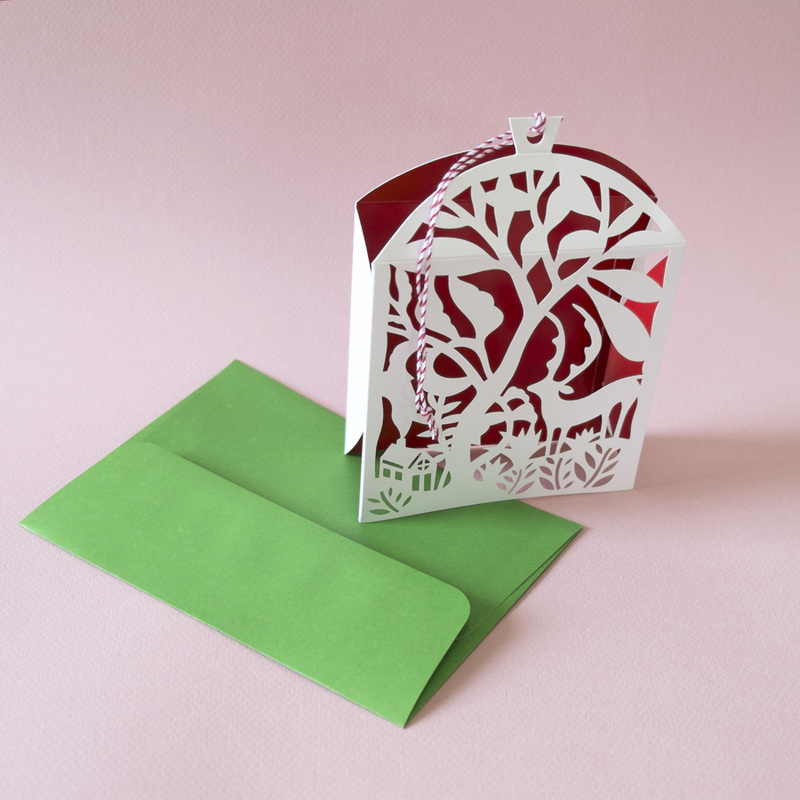 It is a card because it comes flat in the box and you can write something on the back. 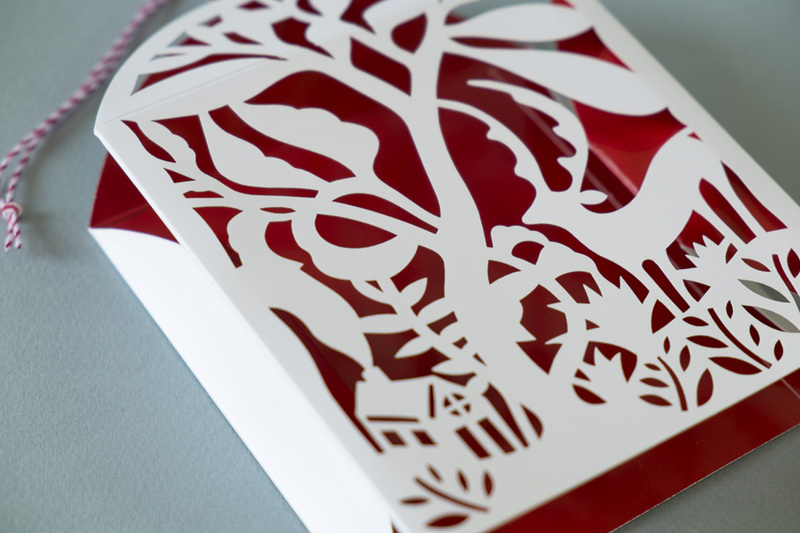 But then it turns into a lantern or Christmas decoration that can be hang on a Christmas tree or any other place. 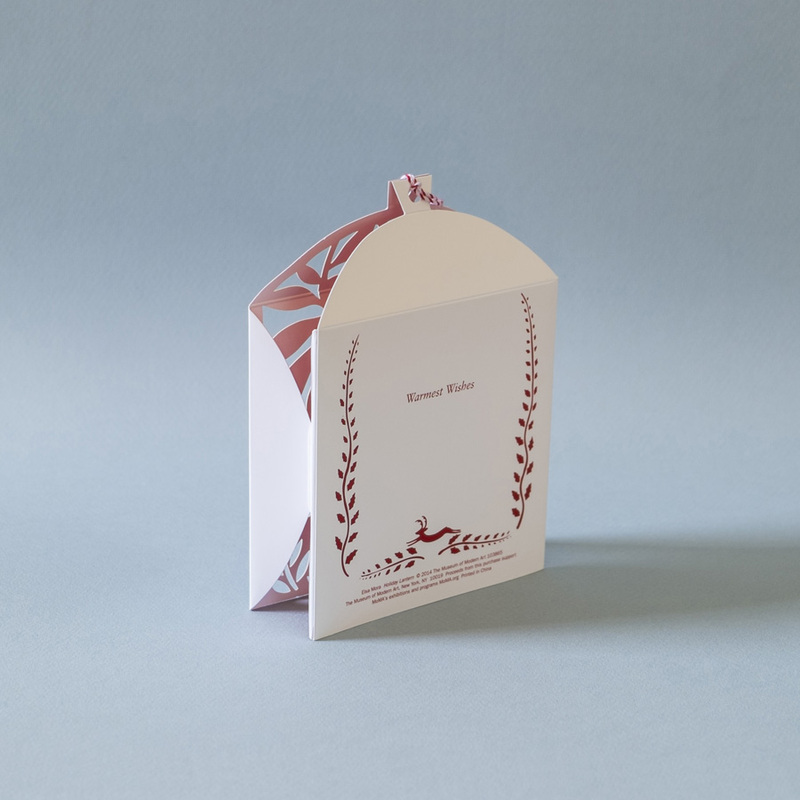 Each card comes with the little cord for hanging. I am very pleased with the quality of the final product. 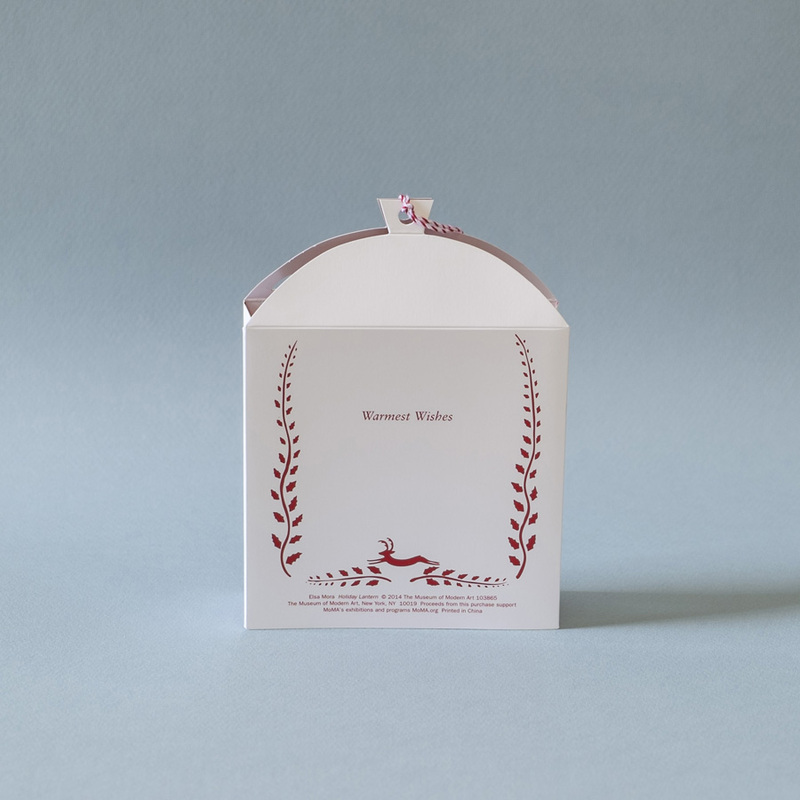 The paper is beautiful and thick, and the box and envelopes look great. 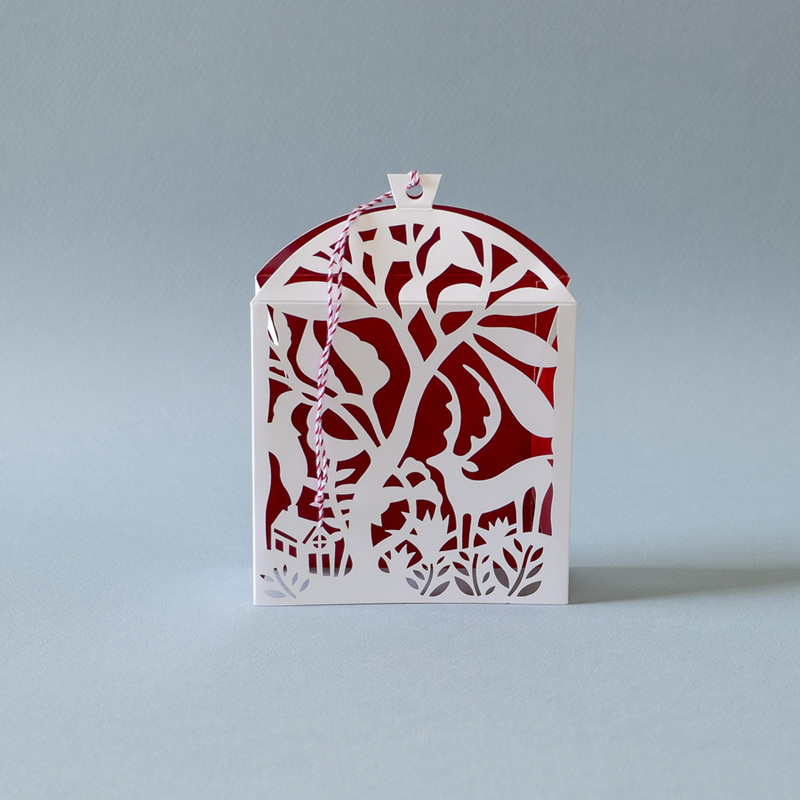 If you get to see the card in person, I would love to hear if you liked it. Have a great day! The card is available here. Has estado muy acertada en tu diseño. Aparte de precioso, es un diseño muy inteligente. 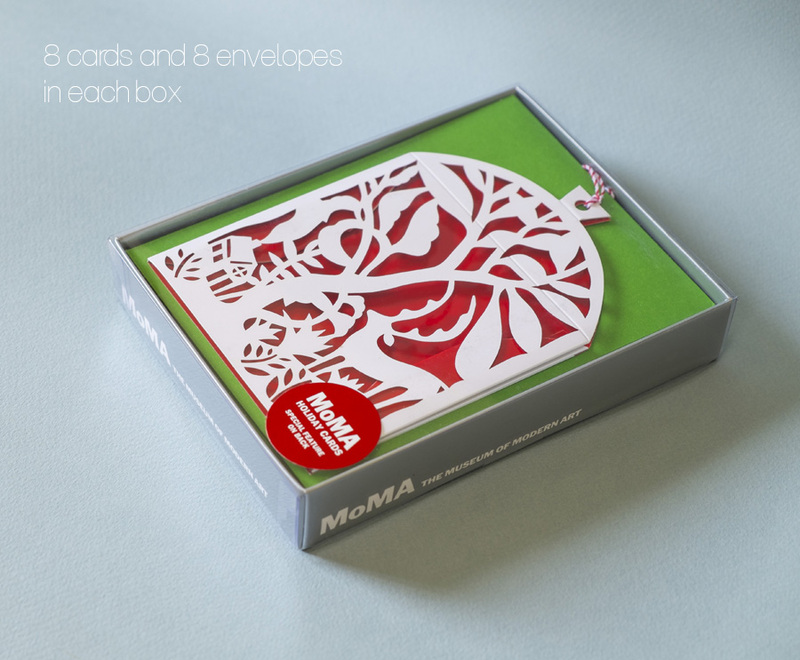 Elsa Mora recently posted…I Designed a Christmas Card for the MoMA. So very beautiful…it almost made me cry! I love these so much. Your work is so beautiful. I love the idea of the card living on year after year after it’s initial use. Such a clever idea! Congratulations. Your art is gentle and cheerful at the same time. It is lovely. I like you see so many small details. I am glad that you are. Such a simple, and effective design, Elsa. Congratulations. 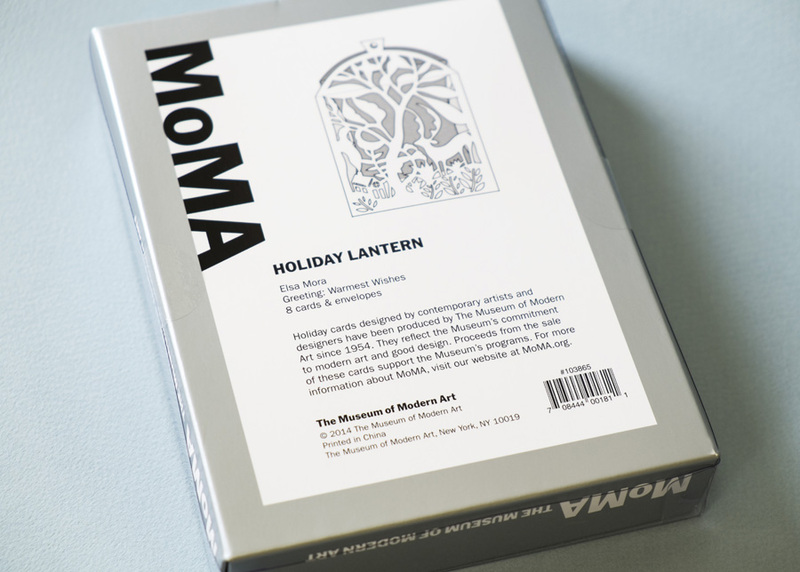 Please remember to let us know how sales at MOMA went over Chrsitmas. Uber-impressive, Elsa. Congratulations on a fantastic accomplishment!! I’ve been on your site all morning. Your work is absolutely breath taking. The card is beautiful. Do you have a method to mass produce editions such as this, or did you cut each an every individual card by hand? PS From sharing my writing, I was able to establish two nonprofit foundations to help the next generation and those today too–www.fordneyfoundation.org and havasiwf.org I also am an artist but have never sold my work but share it with family and friends.